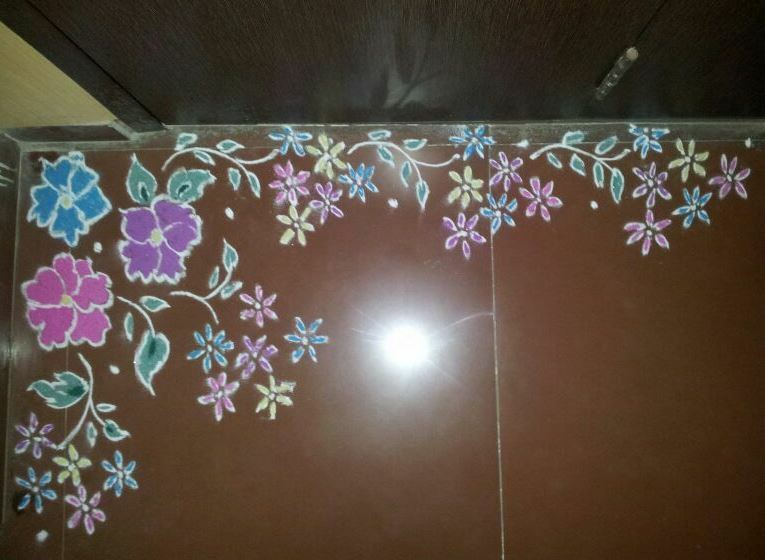 We have brought some easy border rangoli designs for you all. Border rangoli designs are made at the entrance of the house during festivals like Diwali, Dussehra, Ugadi, Holi and New Year. 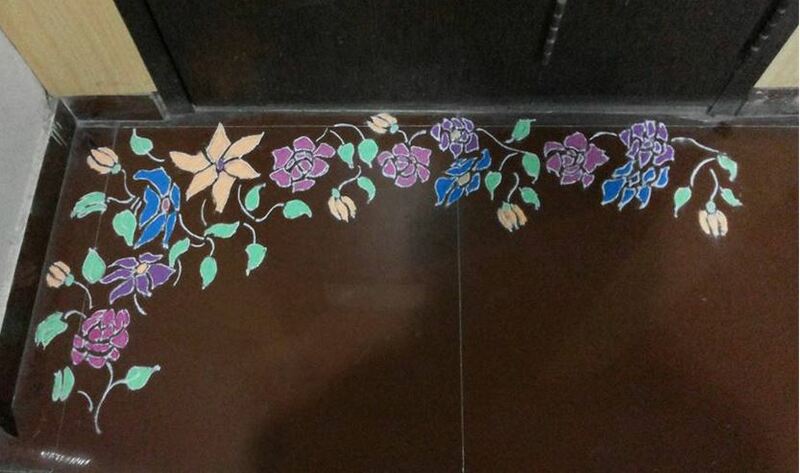 Make these pretty yet easy border rangoli designs around a pillar. Make small flowers and fill them with color. This rangoli is simple and can be made by most of us. Draw flowers and leaves with white rangoli powder. Use red, orange, yellow, blue and green color to make them. 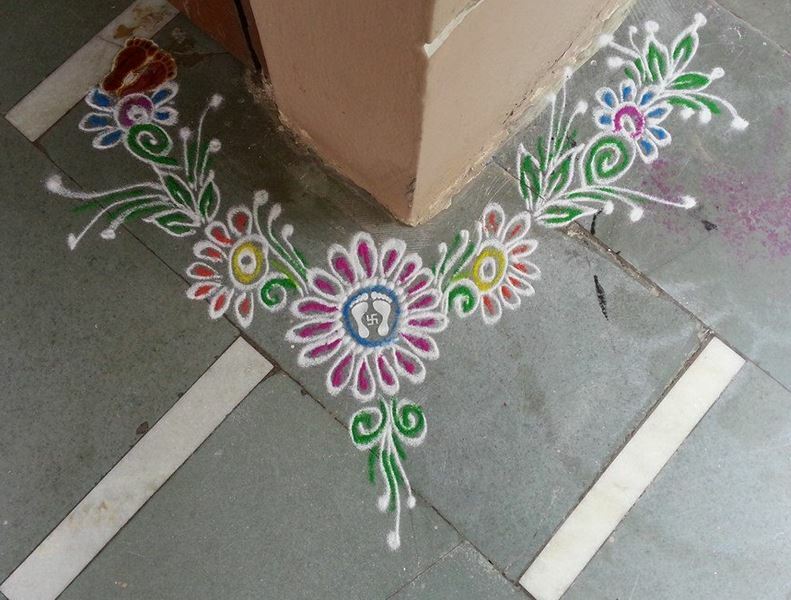 Here is another simple Diwali border rangoli design for your doorsteps. Draw them during Diwali, Dussehra, Holi and Ugadi. 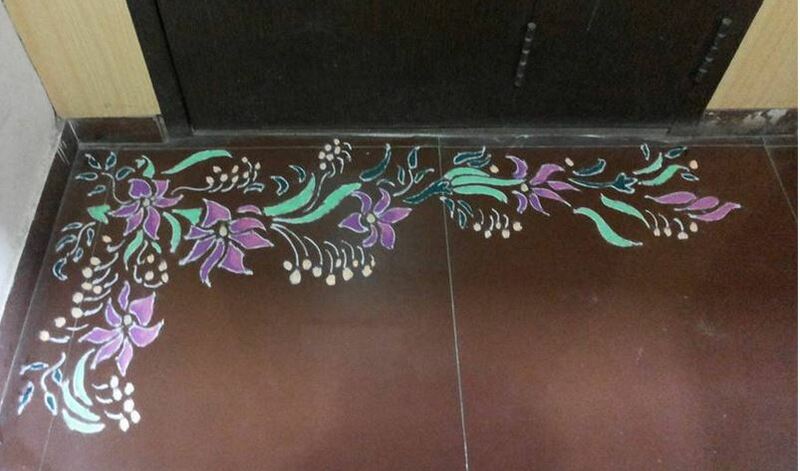 Check out this colorful entrance rangoli design. Keep the flowers small and vibrant. You can use different color for different flowers. Use rangoli powder, flower, flower petals and kundan to create these cool, easy border rangoli designs. Light diyas and candles on it. 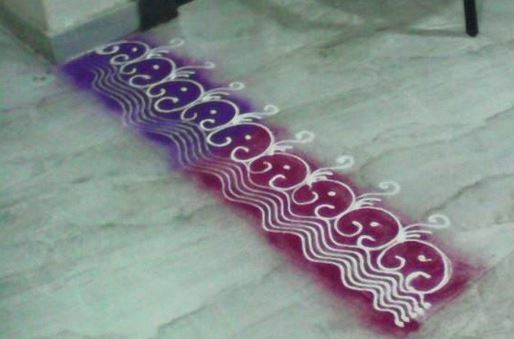 This rangoli design is perfect for kids and beginners to try. Make a wavy line with leaves and flowers along it. 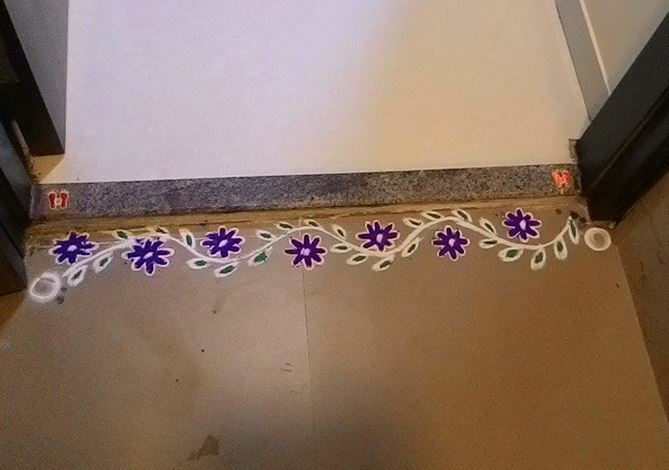 Make this circular rangoli pattern along the wall. Fill the centre with red and green dots. You can also make this design in your pooja room. Make these gorgeous free hand rangoli designs. 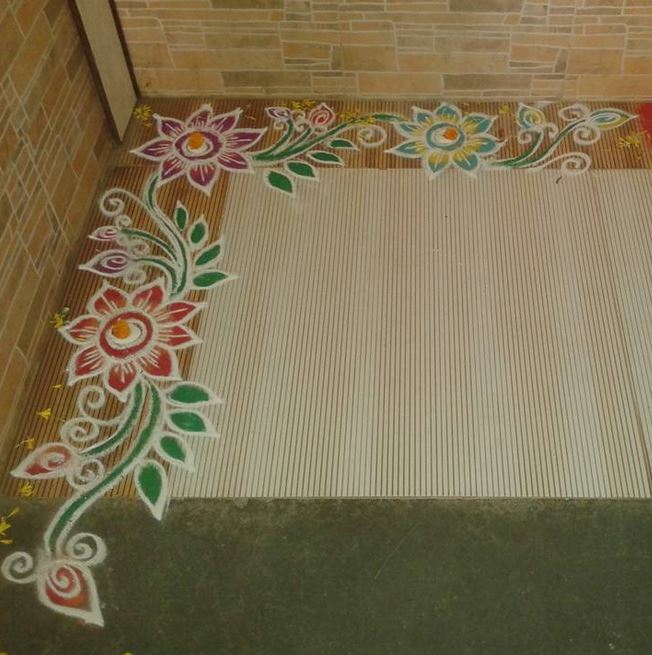 Draw L-shaped border rangoli design in front of your house. Wow! 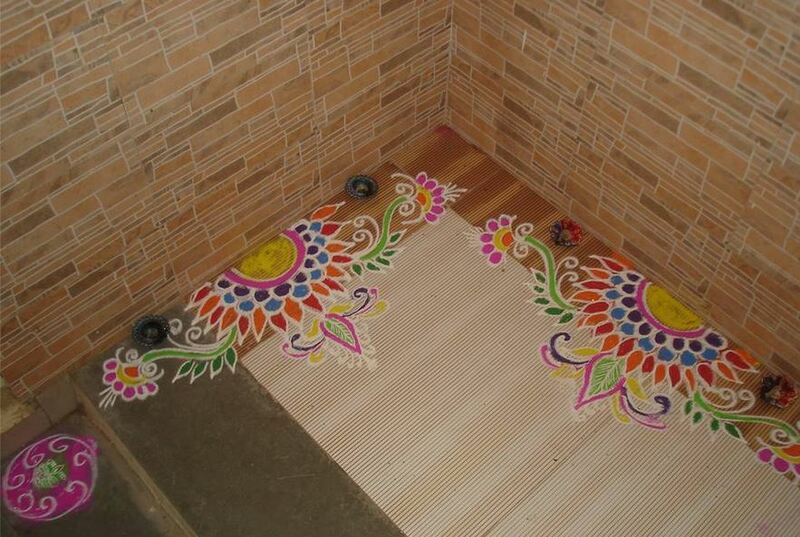 What a beautiful rangoli design? Make flowers with bright colors like red, orange, yellow, blue and pink. Get some of the best border rangoli designs in here. Make these cute, little flowers and leaves. I love this Diwali border rangoli design. Light diyas on the rangoli once night falls. The combination of red-yellow and blue-green looks awesome. 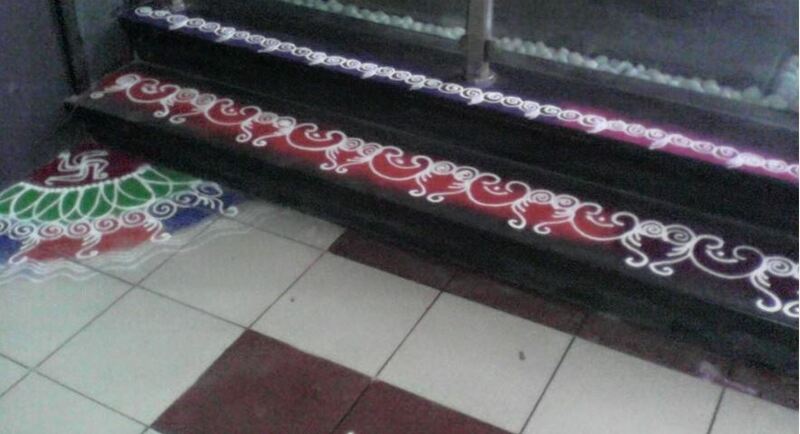 Draw a small corner rangoli design. 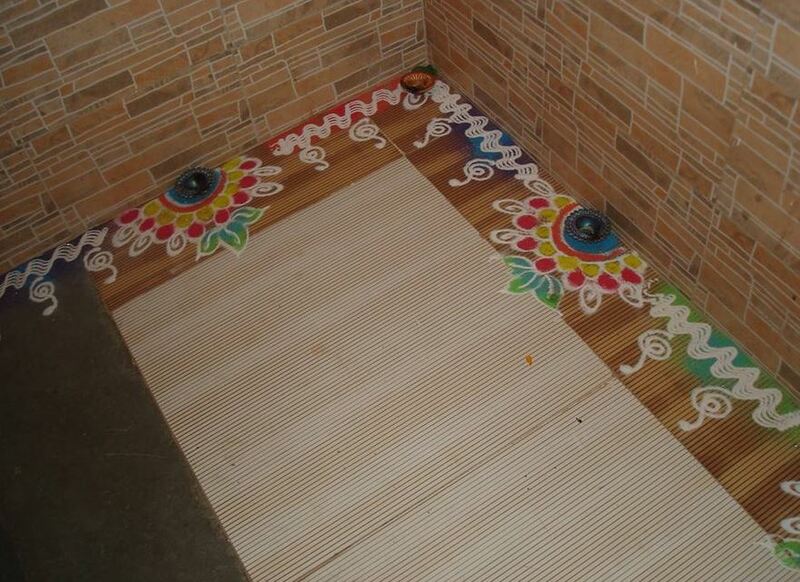 Sprinkle color on the steps and then draw rangoli patterns and designs on it. Go for this attractive rangoli design in pink and purple. 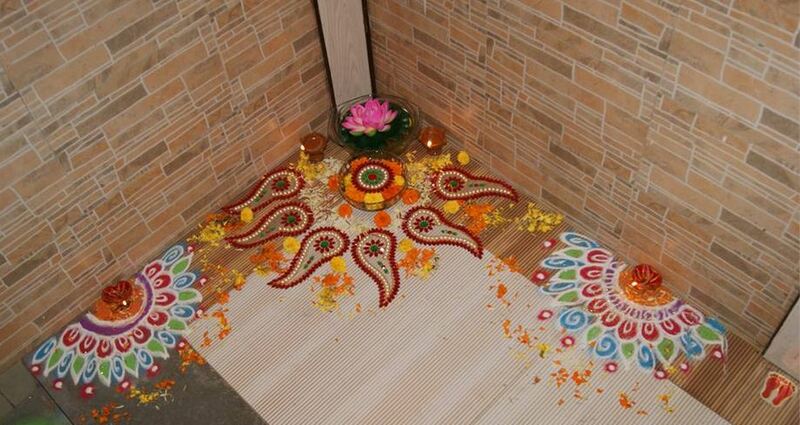 Celebrate Diwali by making this ‎border rangoli design in your home or office. 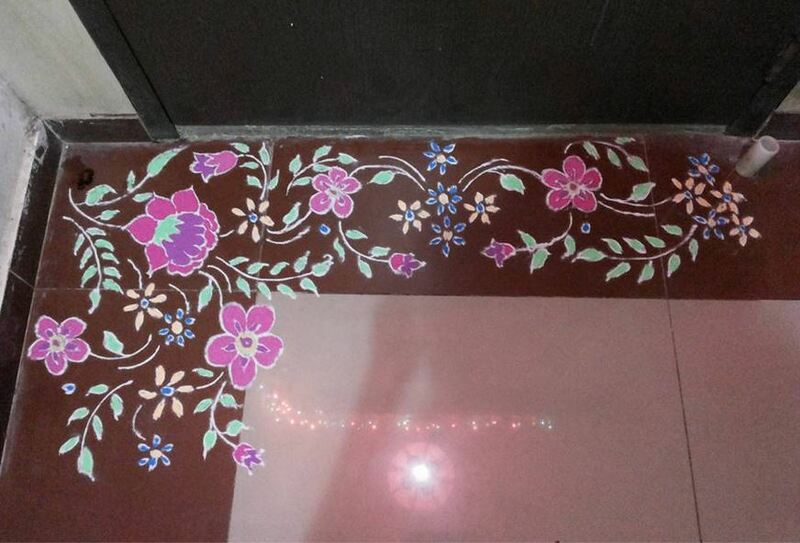 This entry was posted in Decor, Rangoli Designs and tagged Beautiful and Easy Rangoli Designs, Beautiful Free Hand Rangoli Designs, Beautiful Rangoli Designs, Beautiful Rangoli Designs for Diwali, Best Diwali Rangoli Designs, Best Rangoli Designs for 2015, Best Rangoli Designs for Diwali, Border Rangoli Designs, Border Rangoli Designs for Diwali, Border Rangoli Designs for Doors, Border Rangoli Patterns, Colourful Rangoli Designs, Creative Rangoli Designs for Diwali, Diwali Rangoli 2015, Diwali Rangoli Designs, Diwali Rangoli Designs Freehand, Easy and Simple Rangoli Designs, Easy Border Rangoli Designs, Easy Rangoli Designs, Free Hand Rangoli Borders, Freehand Rangoli Designs Borders, Indian Festival Rangoli Designs, Rangoli Design, Rangoli Designs, Rangoli Designs and Patterns, Rangoli Designs for Festivals, Rangoli Designs India, Simple Rangoli Designs, Simple Rangoli Designs for Home by Homemakeover. Bookmark the permalink.